Burzum (1991-present) is a Black Metal band from Bergen, Norway. urzum started out in 1987 under the name Kalashnikov, soon after re-named as Uruk Hai, by Count Grishnakh (Real Name: Kristian "Varg" Vikernes; all instruments/vocals) and Erik Olivier Lancelot (drums) before disbanding and reforming under the present incarnation in 1991. The Count was a Satanist in every sense of the term and took his lyrical and, one may argue religious, inspiration from J.R.R. Tolkien's mythical novel Lord Of The Rings; identifying himself with the darker sides of the novel. On his own he would release 3 demo albums under his original moniker of Christian Vikernes. The first two were released in 1991 titled simply Burzum Demo 1 and Burzum Demo 2; neither was officially released. Volume 1 contained only 3 tracks, but 2 were a compilation featuring 12 tracks. The third attempt, titled Burzum Promo, was released containing only 2 tracks in 1992. Joining the "Black Metal Circle", working with Mayhem and using Euronymous as his mentor (a person argued to be the "godfather" of Scandinavian black metal), he would release his self-titled Burzum debut, a solo album featuring death metal and gothic styles on Mayhem's 'Deathlike Silence' label in 1992 now assuming the personal moniker of Count Grishnackh. Like a dark Mike Oldfield, the Count would handle every aspect of the album's creation, from writing to completion. During 1993/94, however, his music career would take a rather serious and literal turn for he, and a number of the members of the "Black Metal Circle" (including the likes of Emperor, Enslaved in their numbers), would be arrested for their participation in the burning of medieval churches. His relationship with Euronymous was also increasingly strained and he would eventually be convicted of his brutal murder some time later. For his participation in the various church burnings, the Count went to jail for a short time, but his murder conviction got him 21 years (the maximum under Norwegian law). He showed no remorse. He would continue his self-created recordings from behind bars, however, using prison instruments (keyboards & computers), and the ancient Vikings as influence, to create several more albums and singles, many of which featured lyrics in old Norse. (He would later get and extra14 months added to his sentence as a result of charges for car theft and possession of a weapon while he was out of jail on furlough in 2003). During the aforementioned extra curricular activities, he continued to record. Aske (1993) a 3 track EP whose most noted track was A Lost Forgotten Sad Spirit, would follow featuring Samoth of Emperor playing on bass. By this time his criminal misdeeds were catching up with him with the disc being released during the discovery period of his arson charges in Bergen. Not to play things down he fueled the fire by including the picture of what remained of the Fantoft Kirke on the cover art. The first 1000 copies of the EP were sold complete with pocket lighters, which he would claim was the doing of the distributor and not his idea. More news came with the follow-up, Det Som En Gang Var (1994), release where the Count dropped his stage moniker in favor of his Varg Vikernes persona. Hvis Lyset Tar Ost (1994) was next and was released only days before his arrest for the aforementioned crimes. Filosophem (1996; the last before his case finally went through the courts and him spending time behind bars) was released. It was a massive hit by black metal standards. Recorded in jail, Dauði Baldrs (1997) an almost entirely keyboard/synth. affair, would follow. The third in the trilogy, Hliðskjálf, followed in 1998, also recorded from his jail cell using prison issued instruments but his style was now deviating from Satan to the Viking mythology of Odin which didn't go down too well with his predominantly Aryan neo-nazi fan base. He would later follow it up with Ragnarok (A New Beginning), basically a compilation re-release of early recordings. Shortly before his incarceration, as a twisted form of sick insult, he played bass on Mayhem's tribute to Euronymous, titled De Mysteriis Dom Sathanas. His tracks (played to replace another departed comrade), were not removed before its publication. Burzum, as he collectively called his works, became a standard in the black metal world by writing many of the rules as to how it is to sound. 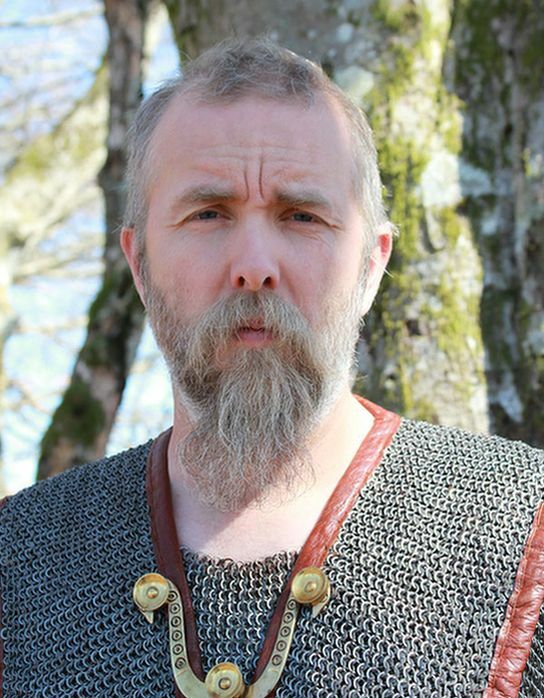 At time of publishing there is some speculation as to whether Burzum will record again. Belus arrived in 2010, almost a year after he was released from jail, along with a movie based on his early years. Another new album of original material, Fallen, was released on 7 March 2011, followed by a compilation album, From the Depths of Darkness, containing re-recordings of tracks from Burzum's self-titled album and Det som engang var, on 28 November 2011. A third new studio album of original material, Umskiptar, arrived in May 2012. Sôl austan, Mâni vestan ("East of the Sun, West of the Moon"), Burzum's first electronic album since 1999, was released in May 2013. On April 27, 2013, a song was posted on the official YouTube channel of Vikernes, titled Back to the Shadows. In a blog post, Vikernes stated that "Back to the Shadows" will be the last metal track released by Burzum and came to be on the Ways of Yore album in 2014.